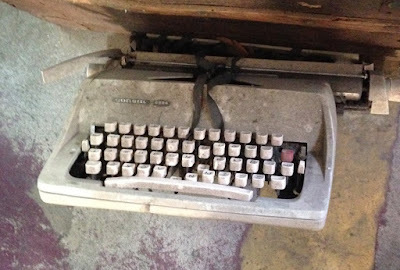 On my last day in Buenos Aires, I met three Argentinian typewriter collectors (and a patient collector's wife) in the old San Telmo neighborhood. We chatted and enjoyed coffee at the El Federal bar. 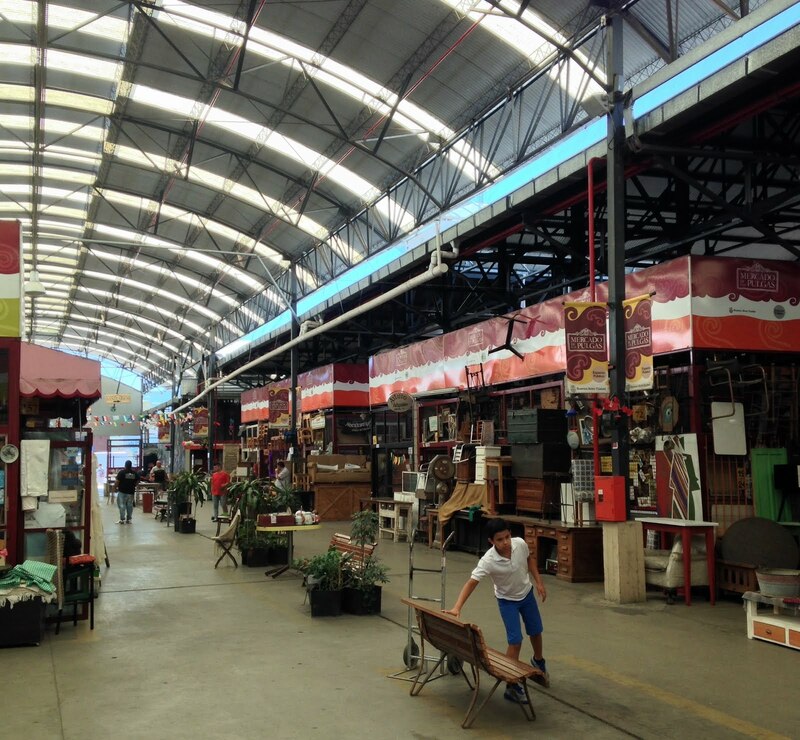 Then we headed to the San Telmo Market. 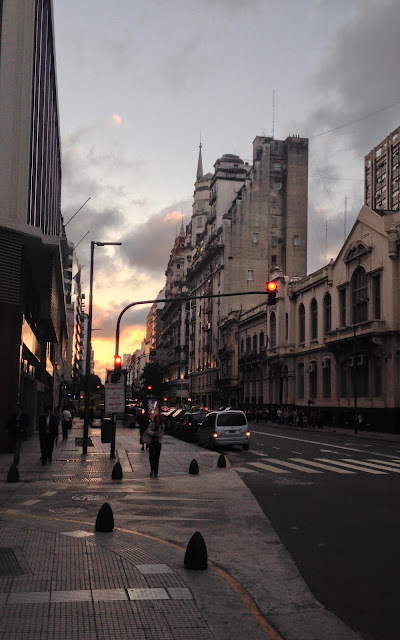 Here's what we saw in San Telmo. Two good things: beer and Evita. An Antares "Underwood," marked "Please don't touch." A Torpedo 25. These are usually branded Remington and were made in Brazil. See my similar Remington 10 here. The Wellington got the extra name "Pan-American" in Latin America. Note the "Nu" for número. The Olivetti Bambina is another machine you don't see in the US. The expedition was fun, but I bought none of these — I had plenty to carry already, including a Valentine. I cleaned the Valentine last night. I can recommend Armor-All wipes! OK, I'm back from Argentina and can post the answers to the quiz in my previous post. No one earned the coveted (?) "typenerd" designation, but some readers are certified members of the mechanographical literati. 1. How is this model different from all other Remington Noiseless models? 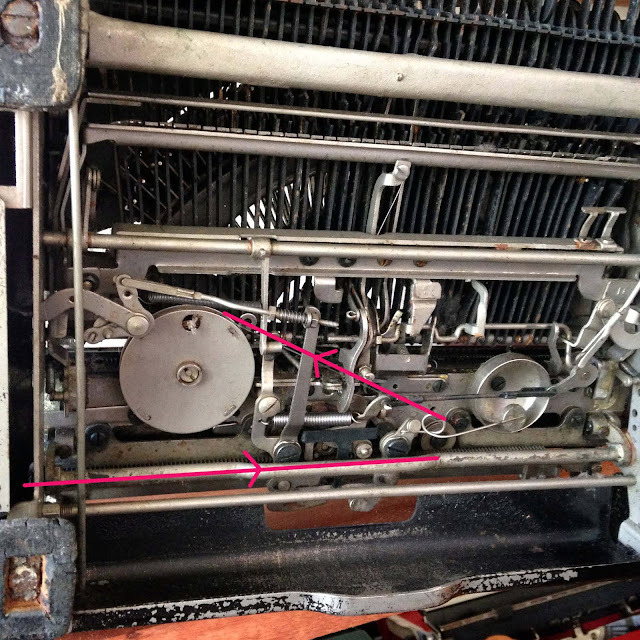 Answer: This machine is just like the model made by the Noiseless Typewriter Company before it was bought by Remington. Remington sold the remaining stock as the model 5, but thoroughly redesigned the machine with the model 6. The most obvious difference? 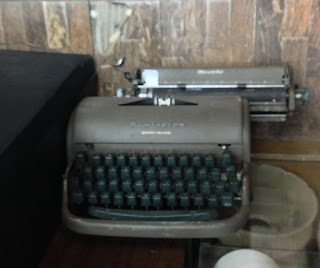 This is a three-bank, double-shift typewriter; later Remington (and Underwood) noiseless standards are four-bank typewriters with a single shift. The mechanism had to be changed dramatically in order to achieve this change. 2. Lexikon 80s are very common in Argentina—but not this one. Why not? 3. Can this Remington portable type in Spanish? Why or why not? In my next post I'll show you a few more typewriters I spotted before I had to leave Argentina, all too soon. Here are some notable machines. A quiz at the end will test your typewriter wits! A Sun with the Argentinian distributor's decal. Guillermo says Suns are poorly designed and it's hopeless to try to get them to type. Revilo no. 5: a rare name variant of the nickeled Olivers that were sold in Latin America. Sometimes names run backwards in the Southern Hemisphere. This Bing no. 2 is literally in mint condition—its packing material was never removed. The Monpti (secretly a Consul) is another typewriter Guillermo describes as bad. He also says that the color of the plastic varies a lot, and often it's a brick red rather than the pure red you see here. A pretty woodgrain Olympia Progress. This Underwood Electric runs well and has an interesting hammertone finish. The Juventa and Sabb look similar, but they are different designs. This Olympia Robust is not just in perfect condition; it came with a photo of its onetime owner, a certain SS officer who had a "Prof. Dr." in his title. The SS Olympia 8 that formerly belonged to me will be joining this one, once it gets out of customs. Weird name for a little Smith-Corona. Great colors on this Barcelona-built Pluma 22 (Lettera 22). Two oddities about this Ruf (a name variant of the Hermes): it comes with an alternative typebar-covering panel, so you can switch between the Ruf logo and the Paillard logo; and it has a lined glass paper frame, apparently meant to let you keep track more easily of the spreadsheet you're typing. An uncommon Regent, the predecessor to the Imperial Good Companion. Made in Leicester, sold in Argentina. Another Imperial, a Briton 55. This very rare standard-sized machine with the Remington portable mechanism was sold as the Monarch 101 in the US. The Remington J is more often seen as the Remington Junior. This "L. C. Smith Silenciosa" sold in Buenos Aires by Pratt y Cia. features celluloid panels that are completely ineffective in quieting the machine down. 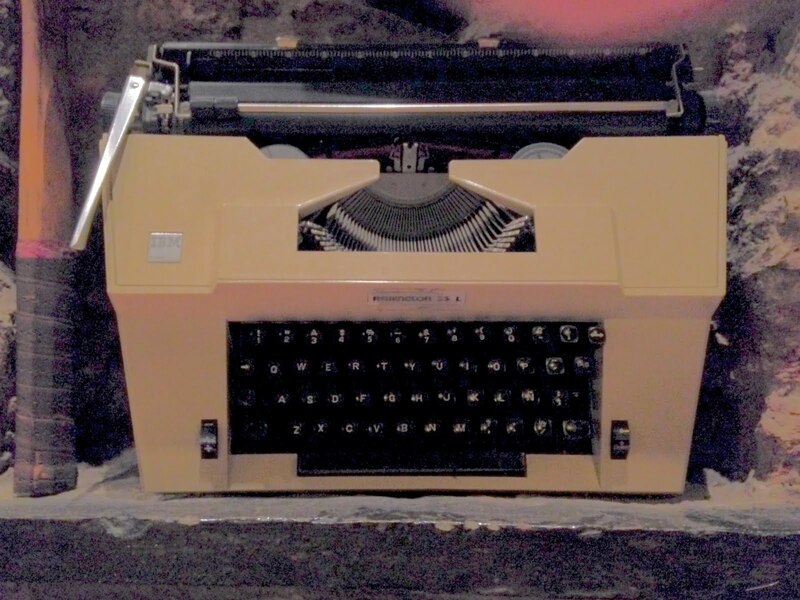 A recent addition to Guillermo's collection is this beautiful and massive Olivetti Lexikon 80E. This gigantic machine is a rare Millionaire calculator, which performs the basic four arithmetical operations. Guillermo describes it as having a large mechanical random access memory. The user interface would require some study. Several of Guillermo's machines have interesting decals or plaques. ... and has the plaque to prove it. PS: Guillermo had some good news: in his neighborhood, he's seen young people typing in public, and he gets lots of curious questions when he carries typewriters along the sidewalk. The revolution has reached Argentina! Last night I just had to go with some fellow philosophers to a wine bar named after Heidegger's Being and Time. 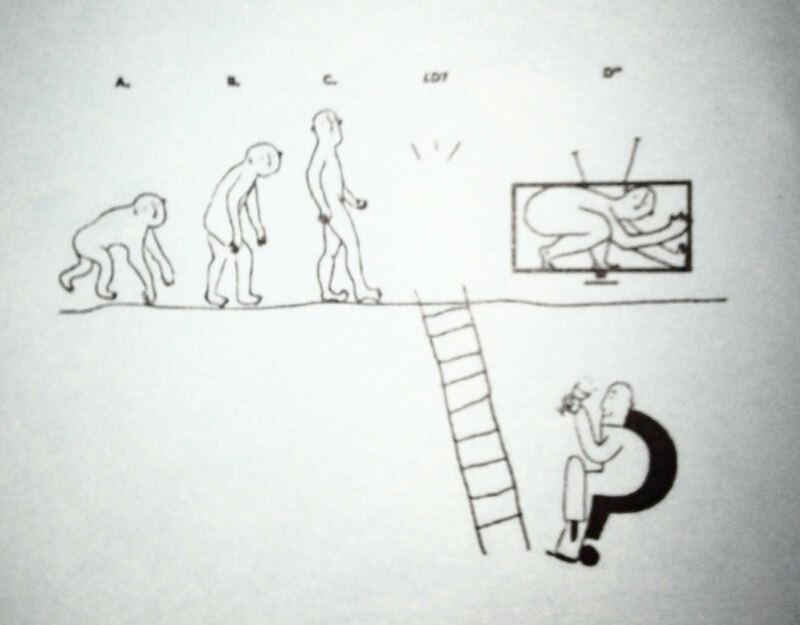 This cartoon on their menu suggests that oenophilia is a way out of technological captivity. Good thing that "we are not what we eat, we are what we love." Otherwise I would be a pile of loaded fries and the greater part of a milanesa (imagine a pizza where the dough has been replaced by breaded veal). 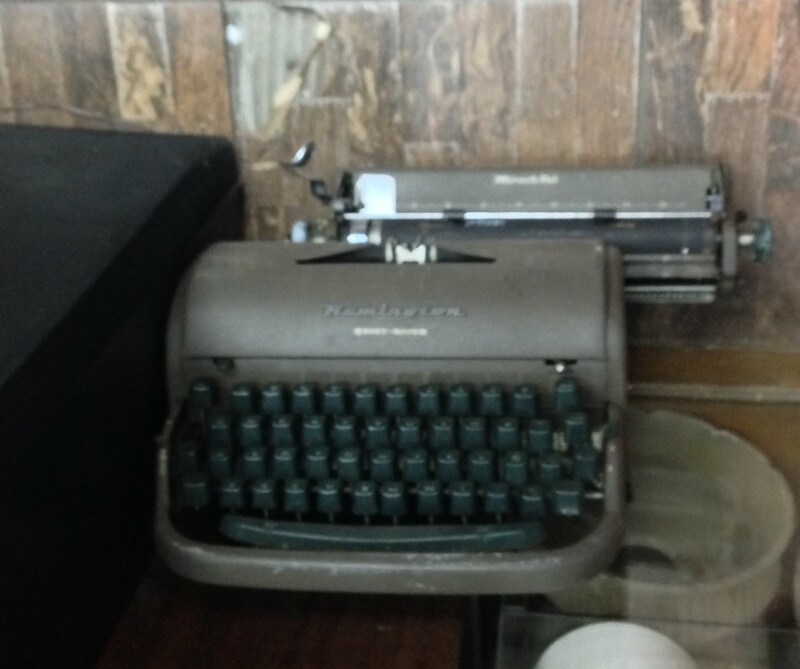 This typewriter on display in the milanesa restaurant is a puzzle. Have you ever seen a manual IBM? Or an IBM that is, at the same time, a Remington 33 L? If you look up images of this Brazilian-made model online you'll see that the brand logos are missing on many examples. Some have an R where the IBM logo is on this one; others have nothing. I'm sure IBM never authorized this! The next morning I headed for the Mercado de las Pulgas (Flea Market). The Buenos Aires subway costs 5 pesos per ride (about 35¢). The trains, which are perfectly comfortable, look like they date from the 1940s. The system began operation in 1913. 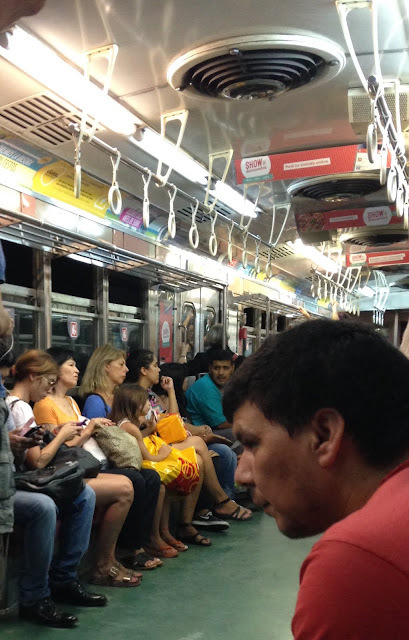 The interior of a "Subte" car reminds me of a classic American diner. This shop near the flea market specializes in old radios. The market is a big but not overwhelming collection of stalls that sell everything from antique furniture to ... what do you think? This is the kind of antique shop I like. Tony's stall shows plenty of individuality. When I stopped by, he was wearing the same hat he has on in the portrait. There were plenty of old office machines to be seen, although in most cases I wouldn't want them or couldn't carry them back on the plane. I found one real antique, but it was pricey — 2900 pesos (about $200). And they have great ice cream here, too. No matter whether you are what you eat or you are what you love, I am now officially a raspberry-mango shake.